Reactions are coming in following the passing of Supreme Court Justice Antonin Scalia, who was found dead at a west Texas ranch at the age of 79. Justice Antonin Scalia was a man of God, a patriot, and an unwavering defender of the written Constitution and the Rule of Law. He was the solid rock who turned away so many attempts to depart from and distort the Constitution. His fierce loyalty to the Constitution set an unmatched example, not just for judges and lawyers, but for all Americans. We mourn his passing, and we pray that his successor on the Supreme Court will take his place as a champion for the written Constitution and the Rule of Law. Cecilia and I extend our deepest condolences to his family, and we will keep them in our thoughts and prayers. Today our Nation mourns the loss of one of the greatest Justices in history - Justice Antonin Scalia. A champion of our liberties and a stalwart defender of the Constitution, he will go down as one of the few Justices who single-handedly changed the course of legal history. As liberals and conservatives alike would agree, through his powerful and persuasive opinions, Justice Scalia fundamentally changed how courts interpret the Constitution and statutes, returning the focus to the original meaning of the text after decades of judicial activism. And he authored some of the most important decisions ever, including District of Columbia v. Heller, which recognized our fundamental right under the Second Amendment to keep and bear arms. He was an unrelenting defender of religious liberty, free speech, federalism, the constitutional separation of powers, and private property rights. All liberty-loving Americans should be in mourning. 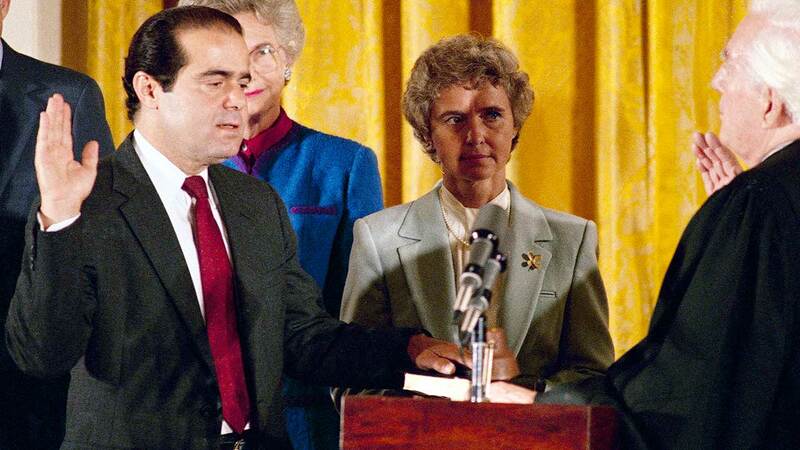 Justice Scalia's three decades on the Court was one of President Reagan's most consequential legacies. Our prayers are with his beloved wife Maureen, their nine children, and their precious grandchildren. I would like to offer my sincerest condolences to the Scalia family after the passing of Justice Scalia. Justice Scalia was a remarkable person and a brilliant Supreme Court Justice, one of the best of all time. His career was defined by his reverence for the Constitution and his legacy of protecting Americans' most cherished freedoms. He was a Justice who did not believe in legislating from the bench and he is a person whom I held in the highest regard and will always greatly respect his intelligence and conviction to uphold the Constitution of our country. My thoughts and prayers are with his family during this time. So sorry to hear of Justice Scalia’s passing. He served our nation well for decades. He and his family are in my thoughts and prayers.